A new way to sense earthquakes could help improve early warning systems. Contour maps depict changes in gravity gradient immediately before the earthquake hits. The epicenter of the 2011 Tohoku earthquake is marked by (✩). ©2019 Kimura Masaya. It all started when ERI Associate Professor Shingo Watada read an interesting physics paper on an unrelated topic by J. Harms from Istituto Nazionale di Fisica Nucleare in Italy. 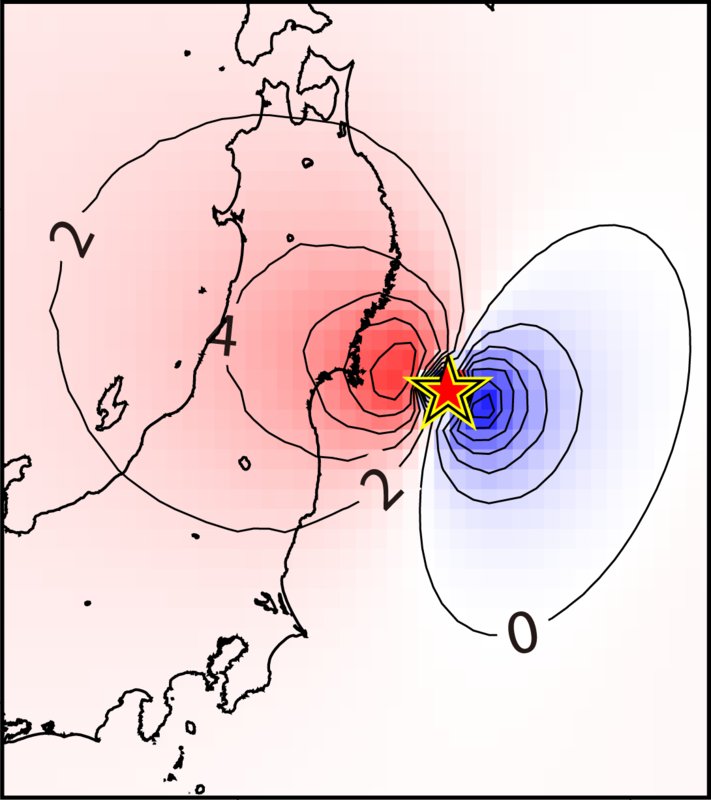 The paper suggests gravimeters — sensors which measure the strength of local gravity — could theoretically detect earthquakes. 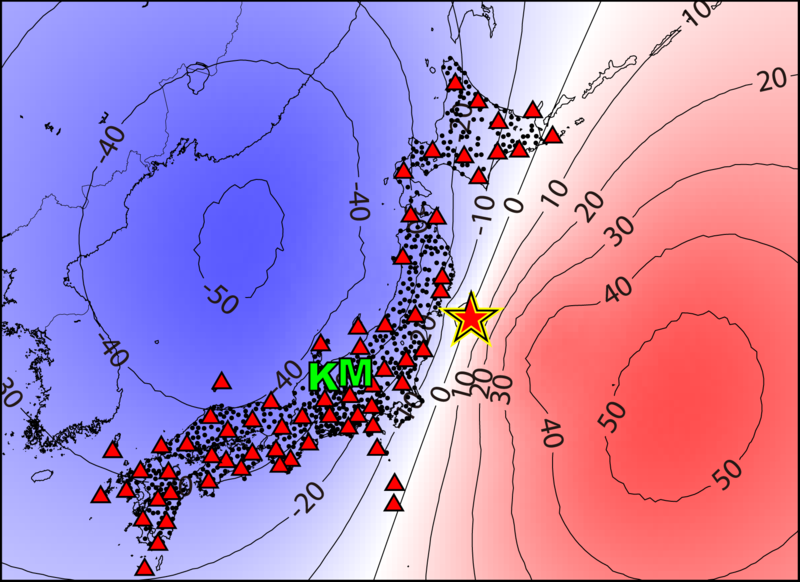 A map of Japan showing locations for the epicenter of the 2011 Tohoku earthquake (✩),Kamioka (K), Matsushiro (M) and seismic survey instruments used (△ and ●). ©2019 Kimura Masaya. 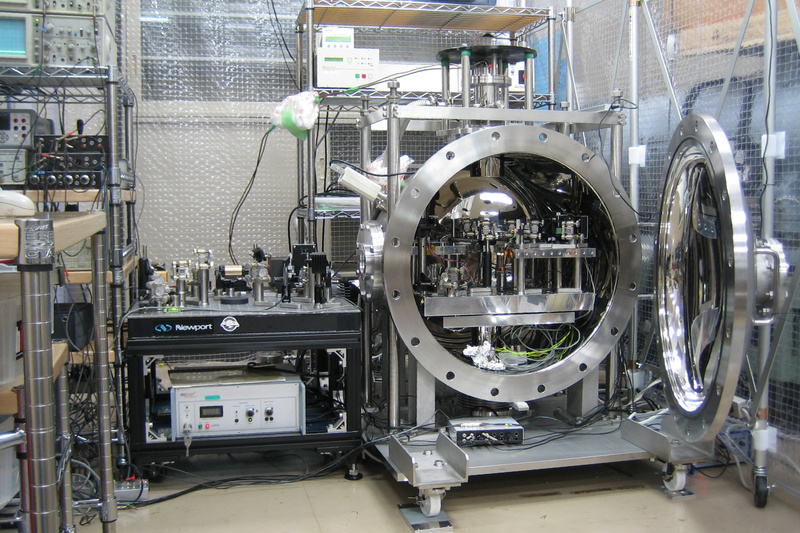 A TOBA with door open to reveal cryogenically cooled sensor platform inside. ©2019 Ando Masaki. The University of Tokyo aims to be a world-class platform for research and education, contributing to human knowledge in partnership with other leading global universities. The University of Tokyo aims to nurture global leaders with a strong sense of public responsibility and a pioneering spirit, possessing both deep specialism and broad knowledge. The University of Tokyo aims to expand the boundaries of human knowledge in partnership with society. Details about how the University is carrying out this mission can be found in the University of Tokyo Charter and the Action Plans.